For those living off the Montrose L stop, the local food selection had been mostly of the 'fast' variety, relegating fine dining to Bushwick or Williamsburg joints. That was until East Wick opened its muted door and plate glass windows, and in a few short weeks became a neighborhood staple. Not only has its arrival brought new and delicious American cuisine to the neighborhood, but it has clarified standing confusion over what to call this borderland between Williamsburg and Bushwick. Looking out from the rustic seating through the wall of windows, East Wick frames Graham Avenue with a sparkling new perspective. Also, the ample view provides prime real estate for any one of the parades that march down the avenue. Chef Meni Vaknin earned his chops at Bouloud Sud, the Lincoln Center adjacent fixture of Daniel Bouloud’s Empire, crafting bright textural Mediterranean dishes. 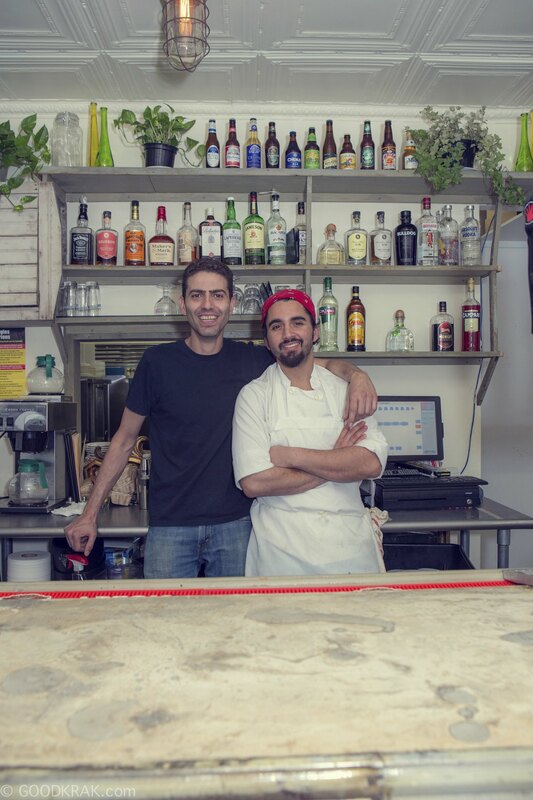 Venturing out on his own with co-owner/operator Dudi (David) Sadi, at East Wick they focus on American cuisine, with an emphasis on in-house preparation, freshness, and seasonal cooking. Overseeing every detail, Meni is equal parts chef and instructor, demonstrating techniques and modeling plating arrangements for a rapt kitchen team, training his staff to execute with precision and care. 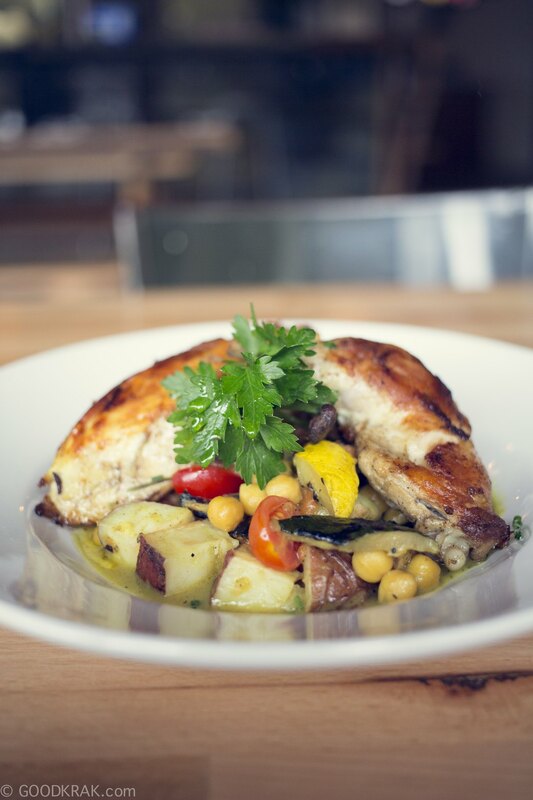 The charming staff will help you formulate the perfect meal; there is no shortage of favorites and must-try’s. Beyond the standard menu, East Wick also provides daily specials dealing with whatever produce happens to be fresh and available that day. Making your way though soups and salads it's time for a 'First', offering Deviled Eggs ($5), Grilled Marinated Chicken on a Skewer ($5), and their eponymous East Wick Mac and Cheese, sporting the triple threat of sharp Vermont cheddar, parmesan, and gruyère topped with herbed panko ($5). As for main dishes there is a selection of toothsome options, P.E.I. Steamed Mussels "Brooklyn Style" ($12), Grilled Atlantic Salmon with couscous and the local salsa verde ($15), crispy slow rooasted 1/2 chicken ($14), as well as the hard to pass up Slightly Smoked Slow Braised Short Ribs ($16), among other options. 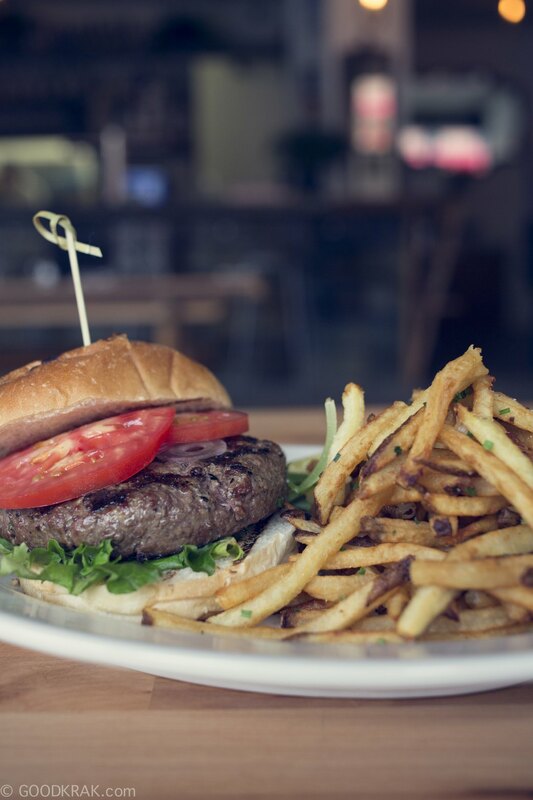 If burgers are your thing, they've got four kinds: ground in-house and covering the full range with beef ($9), lamb ($12), turkey ($9) and veggie options ($8); all of which hold their own in the New York burger game. 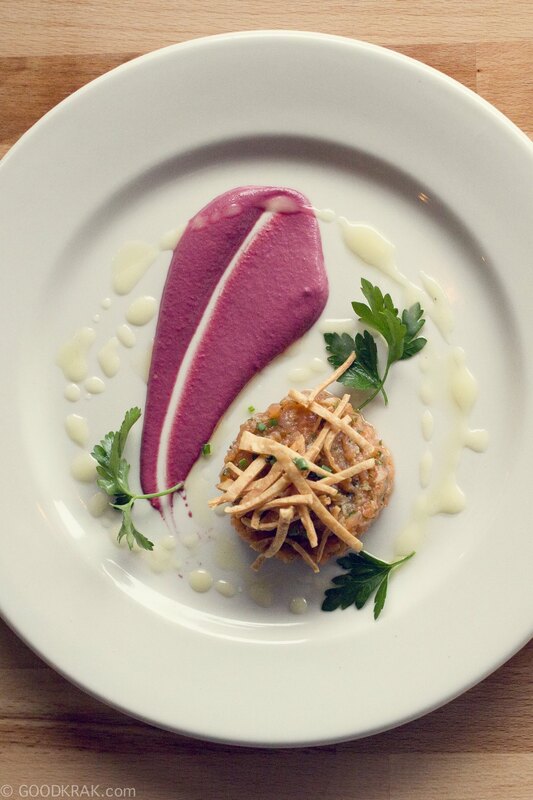 The menu is full of solid well-crafted choices, no getting lost in pages full of redundancies. Finally, drinks, we all want them, we all need them! 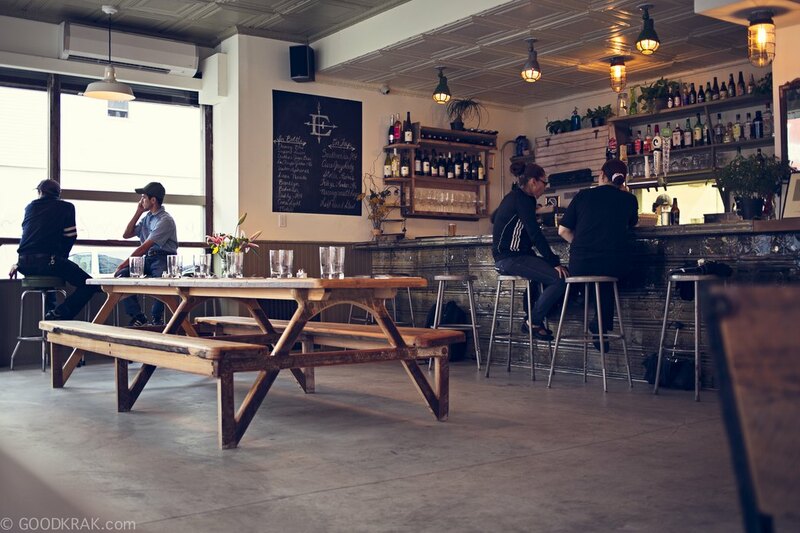 East Wick has a full liquor license and is eager to provide an experience rich in libations. The beer menu highlights drinkable favorites on draft with some more rare finds in a bottle; both are well priced so you may as well have another ($4-10). A brief but by no means lacking wine list complements the food ($7-14 per glass). After enjoying some banter with their charming bartenders you may feel inclined to have an Old Granddad Whiskey on the rocks followed up with a shot of Laphroig- wait, let's reverse that. East Wick has arrived on a strip that is full of bustle during daytime hours, but suddenly empty come sundown. As stated on their website, they are passionate about bringing "traffic, inspiration, and vitality" to the neighborhood and it is clear that they already have a hand in rebranding it. (I’ve always stumbled over what to call this neighborhood and I've lived here for years). This easy-going newcomer offers quality and class in an accessible package, you will see the entire neighborhood filling these seats. 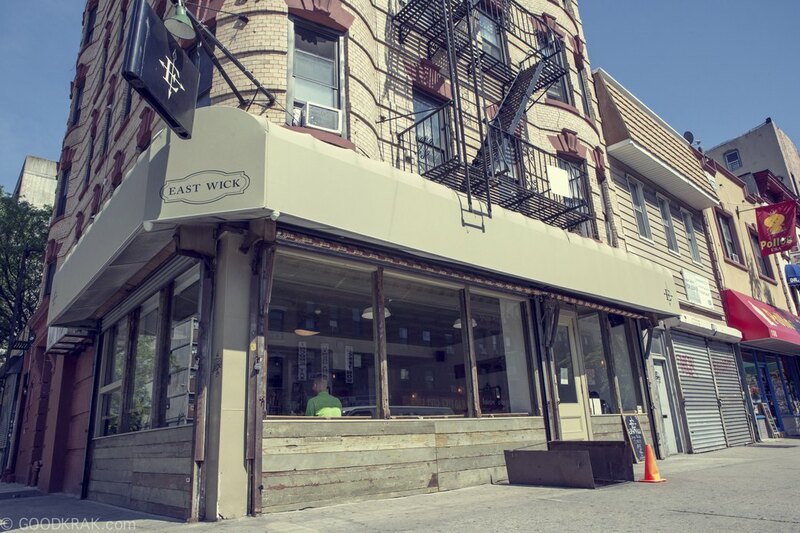 In addition to their dinner menu, East Wick also serves daily lunch and weekend brunch. Disclosure: East Wick has graciously provided the author with complimentary food during the creation of this article; however, I would have gladly paid because it was delicious.